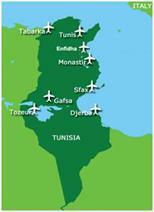 Valid only for the participants flying to Tunis with TUNISAIR in economy class. The 50 % discount will be granted on the excursion rate from foreign countries to Tunis. 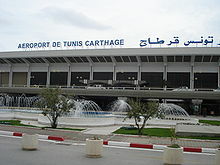 A code for the special rate will be given to all the representations of TUNISAIR abroad. A confirmation of participation will be required by all the representatives offices of TUNISAIR in the world in order to validate your discount. Main connected cities are: London, Manchester, Madrid, Barcelona, Lisbon, Paris, Lyon, Brussels, Geneve, Milan, Rome, Amsterdam, Berlin, Frankfurt, Vienna, Istanbul, Munich, Moscow, Dubai.